Leo is an active, playful, goofy, and sweet, oversized puppy in an adult body! He will thrive with a big-dog savvy home committed to continued young dog training to help him continue to learn manners like not jumping on people he loves to say hi, and walking on leash without pulling. An active home who will take him on daily runs, allow playtime, and provide stable structure with routine and boundaries a must. 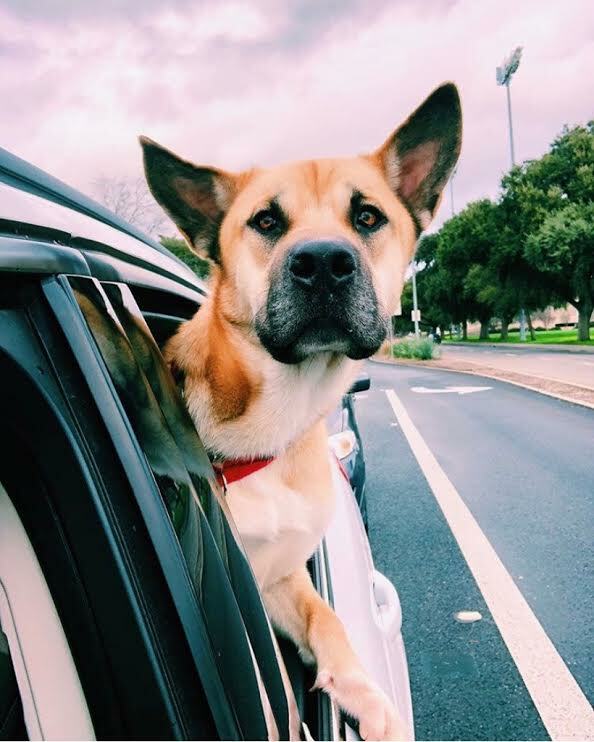 Crate-trained, house trained, LOVES LOVES car rides and hanging his head out the window the most! Leo enjoys toys, fetch, and getting out on the trials for hikes and adventure. He knows sit, down, paw, and place commands. Leo is also good with dogs; He is currently living with two dogs in his foster home in Davis, California. Adoption Donation $175: Neutered, Vaccinated, Microchipped & utd on monthly preventatives, 80-85 lbs.